The Villa is situated in Grand Bay in the North of Mauritius, not far from the bay and it's wonderful beaches. In the proximity of the down town and the major Shopping malls(650 metres), and in the vicinity of a clinic and pharmacy. The Villa is in a very nice complex of five Villas and it's just in front of the swimming pool. The inside of the house is tastefully decorated with a kitchen fully equipped, a corner for children is available with a lot of toys and books for sleeping time. For the amateur of DVD's a selection of English, French and Italian films is available. Free local phone calls. Air conditioner, a Safe and an alarm system (24/24 radio alarm response)helps you to relax in a cool and safe environment. A FRESH WATER FOUNTAIN IS OFFERED BY THE HOUSE. Grand Bay offers many activities like Big Fishing Games, Diving, Under sea Walk, Parasailing, Submarine. At 800 metres from the house are the departures in Catamaran to the splendid Gabriel Island, heaven of Fish and Reef. Friendly and helpful owner. In neighbourhood local people and tourists. The Villa matched exact to our requirements (enough space and a room for each kid). We had nothing to complain about the Villa. We enjoyed our stay very much. In the Villa there are Mauritian power outlets therefore you need adapters for the electronic devices if you come from Europe. Even though the villa is not far from shops and beach, ..., I would recomment to rent a car, because you can easy go to different beaches and use it for a shopping tour or an excursion. Restaurant advice: Blue Lagoon Cafe: Excellent Service and incredibly great french food. Driver & Car-Rental advice: Ask Anabelle she know cheap and trouble-free agencies. Thank you very much from us to the owner Anabelle. And sorry for the broken coffee cup. We (parents and two grown up kids) ran into a little problem and were in urgent need of a place to stay for 12 nights. We found this in a hurry and have not regret it. The owner Anabelle and her husbond were so helpfull. Everything in this apartment function and the pictures on the homesite does not lie as well as the decription. The maid (Sylvie) was so nice and cleans the apartment 3 times a week. And she did her job very well. If we another time should do our vacation in Grand Baie we will without no doubt rent this apartment once again. Thanks to You Anabelle and Ugo for given us a perfect stay in Your apartment just when we needed it most. Hope to see You again. Thanks a lot to Henrik Lykke and Family they took good care of the house and It is with great pleasure that I will welcome them again. I recommend this family to other owners. We visited Mauritius in June 2013 and took our 18 month old son, from the first communication with Anabelle she couldn't have been more helpful and accommodating. The villa is in a brilliant location, within a short walk to the centre of Grand Baie. Anabelle and Ugo have thought of everything you could possibly need for a relaxing holiday including providing a great selection of toys for our son - he thought it was Christmas when we arrived. Pamela the housekeeper was lovely and cooked us a delicious Mauritian meal on request. The villa is well maintained and kept immaculately, we will definitely stay there again on our next trip. Thank you Anabelle, Ugo and Pamela for making our holiday so relaxing. "The stay in the villa of Anabelle has been a great pleasure. We have been to Mauritius several times but this was by far the best experience. The villa is spacious, very nicely and modern furnished, fully equipped kitchen, very nice and clean bathrooms. Unlike other places before, we did not run out of water during the dry season because the villa has a separate spare tank and Anabelle and the other owners made sure that replenishment was organized promptly. Whatever request we had, Anabelle and Ugo were very responsive and made sure that we had everything. The villa is located in walking distance to shops, restaurants, scuba diving and Grand Baie beach and only a short taxi ride from Pereybere, one of the best beaches on Mauritius." 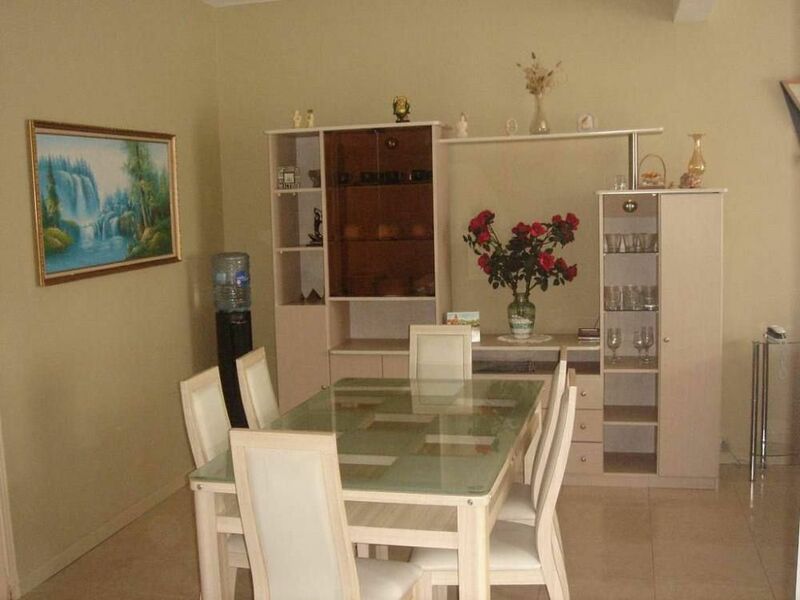 "Excellent Villa, spotless and well furnished. Photos do not do it justice. Have everything needed for an enjoyable holiday for any age. Very child friendly and safe.Very good security system in place.Owners very friendly and helpful. Hope to return next year.Thank You!" As it was just myself and my husband we had this lovely villa to ourselves however anyone going with children it would be a paradise as annabelle has made it so child friendly with all her lovely touches of decor in the children/s room plenty toys for indoor and outdoors." Beyond the established Creole food, Grand Bay offers international, Indian and Chinese food. Some places specialized in Japanese, Italian and French food.